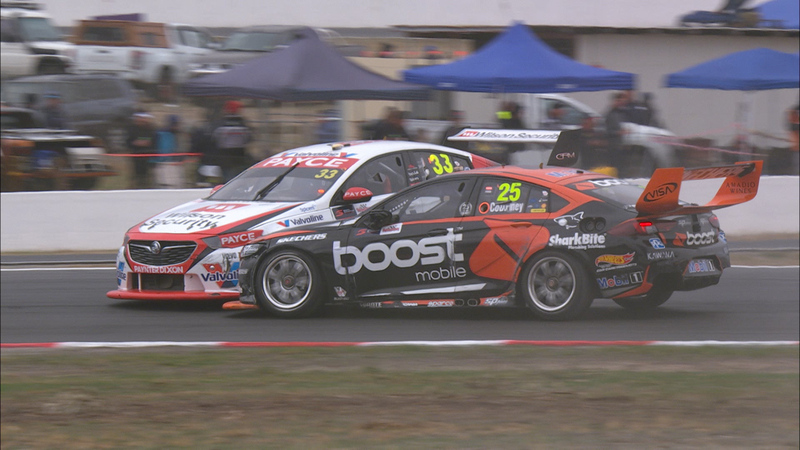 Garth Tander and James Courtney had a “colourful” confrontation in the paddock after the former team-mates tangled in the second leg of the Winton SuperSprint. 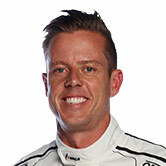 Tander spun at Turn 8 on lap 49 of 67 after contact from Courtney while the pair battled for 14th. Courtney, who had a torrid race, went on to take the flag 14th before a 15-second time penalty – handed out in-race – dropped him to 19th. 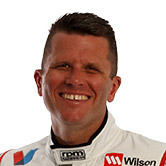 Tander rejoined and took the flag 22nd, before seeking out the Mobil 1 Boost Mobile Racing driver to voice his displeasure. “He was a little bit upset after it,” said Courtney, whose six-year stint as team-mates with Tander at the Holden Racing Team included a clash at Winton in 2015. “He came and had a few colourful words to me, but once he calms down he’ll have a look at the replay and understand. Courtney protested his innocence over his role in the collision, which came after the 2010 champ had survived early-race contact with rookies Anton De Pasquale and Jack Le Brocq. “I got a bit of [tyre] build up, you get build up on the soft tyres and I pushed wide at 7 and he was on the inside and on the exit just squeezed me into the dirt,” recounted Courtney. “I was on the dirt going around into 8 and obviously when you have two wheels on the dirt it doesn’t turn too well, so I understeered and touched him. Tander said Courtney refusing to take the blame was typical. “I think it set the all-time record for how quickly they handed out a 15-second penalty, so he might be in the minority there,” the Wilson Security GRM driver said. “That’s usually like James, he never does anything wrong. “He was making a lot of mistakes and he made a mistake and I got round the outside of him and then he nailed me, so that was it, round we went.